I close my eyes and pinch my nose closed as I take the sardine between my teeth. There is a wet squoshing sound, like a muddy boot tracking on carpet, as I grind the unfortunate specimen between my back molars, doing my best to guide its wet flesh away from my taste buds. Despite my efforts, I feel the delicate bones tickling at my tongue, taste the earthy fullness of offal, before I manage to liquefy the limp body into a paste innocuous enough to swallow. One down, five to go, I think wryly, staring at the plate in front of me where the remainder of my weekly sardine ration reclines, oozing oil onto the polished porcelain surface. I sigh and put down my fork, unsure if I can continue. It’s been almost a year since I managed to incorporate them into my diet, but, no matter how many I eat, I still can’t get used to the smell. I wish I could gulp them down unthinkingly like my mother used to all those years ago at Sunnyside. Sometimes she put them on toast, but she usually had them straight from the tin just after our morning waffles every Sunday. “Good for my ageing bones and saggy skin” she’d say with a mischievous grin and conspiratory wink as if we shared some inside joke and I was supposed to laugh. Her breath would smell fishy for hours after. I refused to approach her until I was sure it had returned to its usual nose-curling but infinitely more familiar coffee scent. And now look at me — ageing bones and saggy skin, desperate for some naturally packaged Omega 3s, an unapologetic coffee addict, and just as wary of the telly as my mother was. When I got older I began to suspect she ate her sardine ration not just for its nutritional value but so she could have some time to herself. I mean, one can take supplements, right? “Oh Chris, they’re not the same thing! Here you get the collagen and all the extra goodness from the bones and organs that you don’t get just by taking a pill. Think about how weird that is! Nature didn’t make our food grow in pill-form. She created whole organisms, a synthesis of nutrients. Best to play by her rules.” She’d wag her finger at me and lecture endlessly when I confronted her about the issue — yet made me swallow down vitamin supplements all the same. My mother (Susan, I began to call her in later years after I fell pregnant and the word “mum” no longer held the same magic as it did in childhood) was a full-time caregiver at the Sunnyside Retirement Home situated just on the outskirts of Manchester during my adolescent years. We lived next to a lake that melted into a swampland of sorts that became a nature reserve with rolling hills as far as the eye could see. It was a pleasant enough place to wait for death and a pleasant enough place to discover life. The folds of the hills were forgiving of one’s age and could be easily traversed by the young and old alike. From afar their contours seemed like a woman’s body, plump and soft, undulating before my eyes. I’d watch the hill-woman from my bedroom window as darkness fell, mesmerised as the Sun unfailingly kissed her lush, verdant body goodnight before sinking into slumber himself. When we went for picnics in the reserve, I would sometimes lay my head on a pillow of grass and pretend I was resting against the bosom of the hill-woman. Though she went through seasons of her own, though the grass was sometimes blunt and brown, sometimes frosty, I always felt safe there, in her imagined embrace. 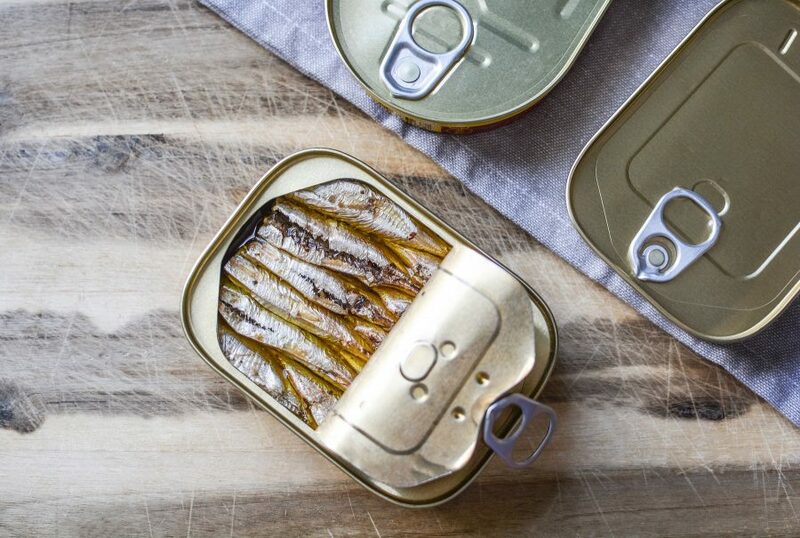 My mother picked up the sardine eating wisdom early on in her career at Sunnyside from clients who’d long ago spent their health on cigarettes, lottery tickets and the empty hope that hypertension could be healed by time alone. She wasn’t far down the line of old age herself when she quit smoking and took up with the fish. She was one of those people who always seemed in perfect health; glowing skin with freckles like butterfly kisses on her cheeks, strawberry blonde hair, and keen hazelnut eyes. In Edinburgh, Susan worked as a nurse. Men were always fawning over her before we moved south to Sunnyside to become veritable hermits. (At Sunnyside, the men still fawned, but so did the women, and it was in a playful, avuncular way). “Meet Nick,” or “Jack” or “Bob” or “Dylan” or whatever; she’d show them off hopefully to me, knowing I would only stare glassy-eyed and hide in my room until they went away and we could be alone together again. “Sorry, she’s shy,” she’d apologise on my behalf; I don’t think they minded my absence. I still remember them, her string of men — all a little wild looking, with longish hair and frightened eyes. I learned later, when I was old enough to understand these things, that most of these men were coming out of the Rehabilitation Center that she worked for. She had a habit of falling in love with those she cared for. And who could help but reciprocate that love? She hardly ever talked about them after we left Edinburgh. I’ve asked her why; she told me it was like picking at an old scab that would heal into an ugly scar anyway. Best to leave it be. “Mum? Mum, why are you eating those dreadful sardines again?” Loele shuffles into the kitchen, eyes still dewy with sleep. Not bothering to wait for a response, he plonks down beside me at the kitchen table, curls up his nose, and ejects a small “ugh” from the back of his throat. “Pass me the Cheerios, would you?” He gestures to the box at my side. “Where’s your sister?” I ask, obliging his request. I had given up on the sardine battle long ago. “Still asleep.” He murmurs. Cheerios pour into his bowl. A few miss their mark, but he quickly swipes them back in and tops it all off with a generous glug of milk. “But it’s almost 9 a.m.,” I say sternly. I do my best not to sigh. He’s right. On both counts. Besides, at 11 and 12, they’re starting to need more sleep. Sometimes, when I pick them up from school, I hardly recognise Loele anymore. Lisa still looks much the same as she did at 9, but Loele is growing at an unprecedented pace. Sometimes I’m shocked at how much he looks like his father. I won’t ever admit it to him, but I’m struggling to forgive him for the resemblance. It’s not something I think I’ll ever be able to get used to. Pushing these thoughts out of my mind, I return to my sardine ration, trying to convince myself (as I do every week) of their nutritional value. Mindy, our tabby, sits by my feet. She senses my ambivalence and uses the opportunity to let out a plaintive meow and dig her claws into my thigh, demanding her share. “Meeoowww,” Lisa chimes in sleepily from the doorway, hair ruffled and pyjamas askew. I can’t help but giggle, but gently push Mindy away all the same. Before we moved to Sunnyside, we were like any other single-parent, lower-middle class family fighting for survival in the city. We were almost always in a rush to get somewhere — to school, to work, back home, to bed. The only time I saw my mother relax was every morning just before we left for school and every evening before she tucked me in and kissed me goodnight. She’d sit on the patio and smoke a cigarette, sometimes two. It was in those moments, as the smoke curled in and out of her perfectly puckered cherry-red lips, that the demons left her, probably chasing after the self-effacing smoulder that had birthed them in the first place. Cool as a cucumber she courted the smoke, whispering softly after the tendrils as the cigarette burned itself out. Later, I would smell their communion on her, like another man’s cologne, when she kissed me goodbye or goodnight. I didn’t mind. It was normal where I grew up, and normal for her mother, too. Thank God some things don’t last. She pulled me out of school one hot August afternoon. It was recess time; I was in the first grade. “Chris! Chris!” I remember her voice calling to me, unusually shrill that day as I hid, giggling, in the belly of the monstrous play structure that towered over the school grounds. I tried to be quiet as I heard her approach, her feet stirring up a swish from the sand that surrounded our play area. A girl called Stacy hid by my side. “Shh” I hissed, more to myself than to Stacy, as my mother rounded the corner and poked her head into our hiding place. “Christina Odelbrach, come out of there at once,” she scolded me for ignoring her and hoisted my struggling body from the monster’s belly. It was only then, suddenly readmitted to the world of light, that I knew something was wrong. “We’re leaving,” she said. Her voice was firm. Gentle. But the quiver of her lip and the blossoming of a midnight-blue bruise under her right eye betrayed her. I knew in the same way that an aged dog sniffs its doom on the grasping hands of those who once pet it so fondly that she meant “for good”. Too big now to be carried far, I was quiet as she pulled me along behind her past the resigned looking Mrs Burton, past the classrooms and other children, through the gate and into the bright blue Chevy Bel Air that was parked haphazardly on the curb. The back seat was a war zone, belongings strewn everywhere, the little pink suitcase I used when visiting Aunt Cheryl — almost bursting at the seams — had been caught in the crossfire. I was too scared to be happy at the rare chance to sit up front where Mo, my faithful plush companion, waited for me, miraculously unscathed. Retreat, retreat, I whispered to myself, hugging his pink piglet body close as the car lurched onto the open road, leaving the little life I had known and have long since forgotten behind. Susan had been planning our escape for months without telling me. She kept it quiet in case I let something slip to my friends or teacher. She ‘couldn’t be too careful’. Experience had taught her that addicts had ways of getting what they wanted. She had resigned from her nursing job and found new work at Sunnyside through a co-worker who started her nursing career there; someone was lined up to rent our fully furnished flat in Edinburgh in a few weeks; she had finally been granted a restraining order against the former patient and ex-boyfriend who routinely abused her. She was just waiting for the right moment to break the news, the perfect excuse to leave: when it walked through the door with the smell of alcohol on its breath, she was more than ready to go. All she needed to do was return to the flat to gather the last of our worldly belongings, and we would be free to build a new home in what I, in my adolescent years, would moodily label “the middle of nowhere” and in my adulthood acknowledge as the “outskirts of Manchester”. But there’s no denying I loved my years at Sunnyside. When we arrived, they were all already waiting for us on their porches: The Thatchers, Paul, Mrs Linda, Simon and his yappy poodle, Glenda Spokes, and — most dear to my heart — Mrs Derbyshire. There were others, of course, but these were the ones I grew closest to, who would sneak me cookies when my mother wasn’t looking and care for me when she had other things to do. I lived my five years there as a princess, homeschooled by Glenda (who still held a valid teaching certification) and raised on the thousands of years of wisdom accumulated between all of Sunnyside’s residents. Despite the years that divided us, I was close with them in a way I have only rarely experienced since, and hardly ever with anyone of my own generation. Years later I still feel there is a purity and sincerity to the relation between the very young and the very old that is difficult to find elsewhere. We, the brackets of civil society, its future and its past, were joyfully united in an unassuming present free from the plagues of modern living and its everyday pretensions. I met them all formally on the same afternoon that we arrived. Mother dragged me round to say “hello” to everyone. I hid behind her skirts while they tried to get a glimpse of the young one in their midst. Only Simon’s little poodle drew me out of my hiding place. Once I was revealed, I could not go back, and honestly it was a relief to join the community. I squealed delightedly at the poodle’s thick, curly fur, a type I had never felt before. I nicknamed him Mel because I thought Mel was a sweet name and in that part of my life I especially liked names that started with “M”. I made Mel play with Mo, but not too rough because Mo was my first love and sometimes he needed protecting from those fierce little jaws. Simon only smiled at the rechristening and told me Mel’s real name was Mr Puddlewink. This I thought was unfortunate, but thankfully even Simon came round to calling Mel “Mel” eventually. I had never really known my own grandparents as they had relocated to South America soon after I was born, and the airfare between here and there was simply unaffordable for us. I’m told I met them when I was a wee one, but naturally I didn’t remember a thing from this encounter. Thus I had been sheltered from the reality that is the fragility of old age, which my mother had come to Sunnyside to ease in what ways she could. Only a few weeks after my arrival, I became intimately acquainted with this phenomenon. The Thatchers were the first to go. Before them, I had never known how love and despair could blossom so close together. Early one morning Mrs Thatcher awoke to the unusual sound of silence; Mr Thatcher’s legendary snores had come to a halt. He went peacefully, they said, and Mrs Thatcher joined him soon after on the other side. Thus, life at Sunnyside was shadowed by Death. But Death wasn’t hiding in corners. He lived among us, and I came to expect his visits. As heartbroken as I’d be after he claimed another of my friends, it was, in a way, a relief to know he was so close by. “You ready to go visit Dad?” I ask Lisa and Loele, their breakfast finished now. They nod, quiet, eyes downcast. They’re still getting used to the separation. We’re all still getting used to it. I pile dishes into the sink and start running water over them. Lisa and Loele jump down from their chairs and pad lightly out of the kitchen. Only when I hear the muffled sounds of opening and closing closets in the next room that I notice a feeling like the squeezing of brambles around my heart and a wet saltiness running into my mouth. I quickly mop the tears from my face and clear my throat so that the hoarseness of my voice won’t betray me when Lisa and Loele return. Mindy looks up at me imploringly; she lets out a sort of purr-growl of anticipation. The only plate left to clean is mine. Four of the original six sardine bodies lay limply on the white plate. I couldn’t bring myself to chew through the rest. I deposit the bodies into Mindy’s bowl near the bottom of the kitchen sink. Before the last one even hits the bottom, she has pounced upon them, hungrily gulping their oily flesh over her rough tongue. She swallows without pause for breath: gristle and all.